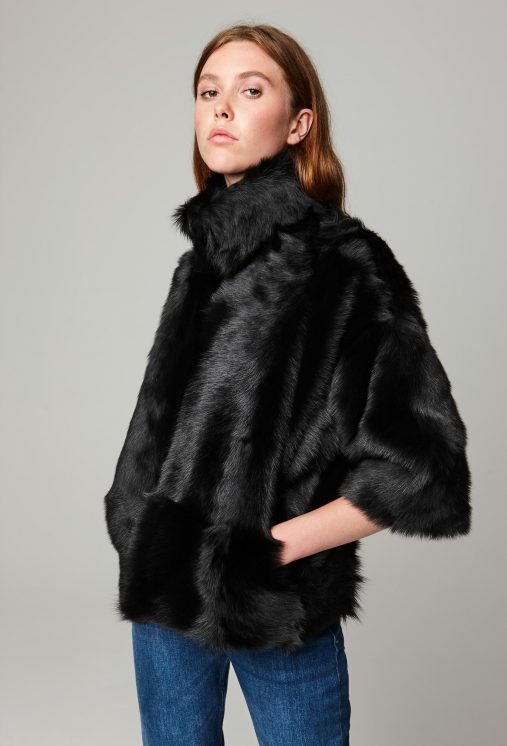 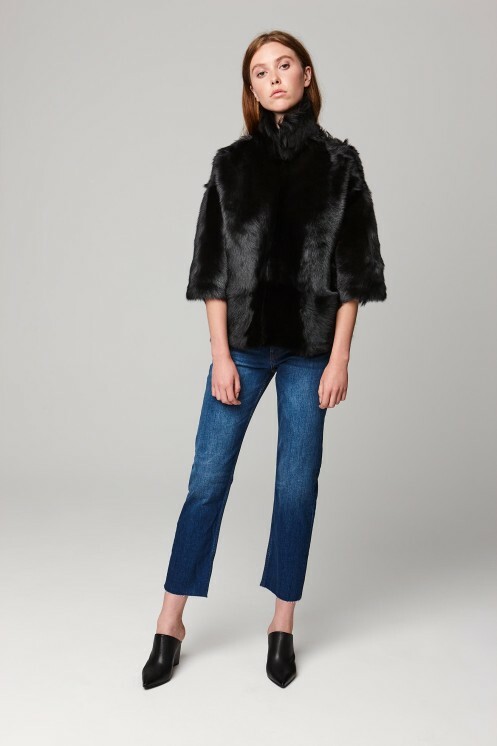 This cool little shearling jacket is handmade in long Toscana and cut to feminine cropped proportions. 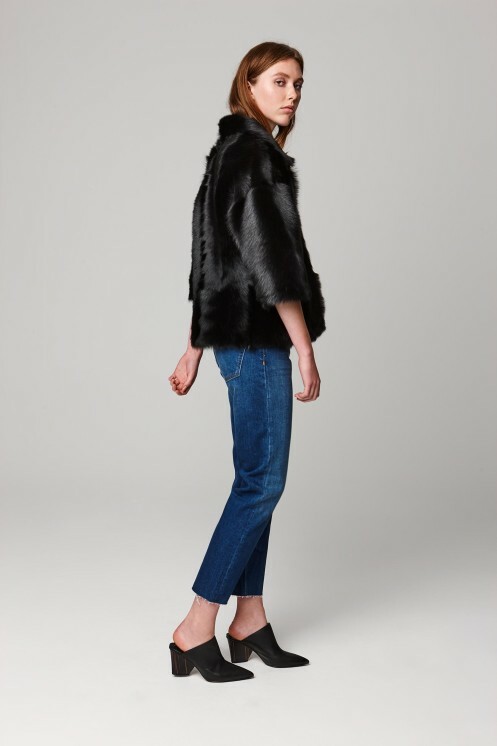 Featuring a three quarter length sleeve and cosy funnel collar this jacket has an edge to edge front with discreet hook fastenings. 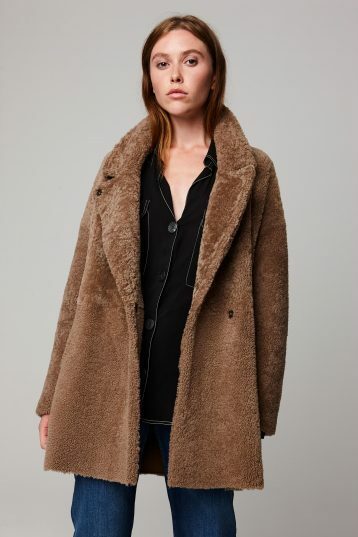 Reverse this style to wear as a shearling trimmed nappa leather jacket.